DWDM and Optical Infrastructure – The OFC is the biggest network in India and the DWDM is the world’s biggest networks and both of them owned by BSNL. Market Share – BSNL‘s standing as Indian Telecom operator is at number five, holding a minimum of 67% of share in the ADSL services. Managed Network Services – To its Enterprise customers, the company is giving telecom services like the Leased Internet Lines, Leased Point-Point Lines and MPLS Connectivity. Cellular Mobile Telephone Services – With nearly ninety six million people, BSNL owns 13.5% of the market share in mobile telephone industry providing mobile services with the help of GSM platform. Universal Telecom Services – The Company owns a market share of 75 % in the fixed lines category providing fixed landline and wireless services with the help of CDMA technology. These are Tarang and bfone services respectively. WLL-CDMA Telephone Services – Under this category, BSNL provides wireless services in mobile and fixed lines. Internet – BSNL owns 55% of the market share providing services related to internet access through the dial-up-connection. It is also a provider of online games. Intelligent network – Various Value-added services are provided by this company like free phones, prepaid card, private network, a number that has universal accessibility and ACC services. 3G – This service include video calling, live television, mobile broadband and video portal etc. IPTV – This service includes watching television with the help of internet. FTTH – The services include data transfer through higher bandwidth. Helpdesk – It provides the necessary help to the customer. VVoiP – BSNL will provide video and audio calls to an7y mobile, landline or IP phone anywhere in the globe subject to the required equipment at both ends. WiMax – This includes the introduction of 4G Wireless Technologies through broadband access. BSNL landline – It is the oldest service provided by the company where calls are from one connection to the other. As the company BSNL is, State-Owned, it has provided services at affordable and low rates so that every section of the society could avail themselves of telecom-services. Value for pricing is the criteria of BSNL to fix its pricing policy. The policy depends on various factors. The usage charges in relation to tariff is a deciding factor for making pricing policies. One of the other important factors is the cost incurred during the installation of the product and its services. The type of services required also decides the rate charged as per conditions. The company has set up the normal and higher usage ranges. The callers whose calls cost even more than INR 5,000 come under the higher usage segment. In such cases, where usage is higher than normal, then discounts are provided to lure the customers and to lower their costs. Special timings are allotted for them when the calls cost marginally less. The revenues earned from this group of people are higher and hence the different pricing policy. BSNL also offers its consumers lifetime cards and this policy helps in maintaining future revenue flows. BSNL has a strong base of consumers that have been loyal. However, new companies with new products are being launched in the market and in order to maintain its loyal base and to create a new breed of younger consumer base the company has opted for activities that will prove promotional as well as will increase the brands visibility in the market. It has its own slogan “Connecting India, Faster”. In order to promote the services of the brand the company has come out with various schemes that have proved beneficial to the customers. Some of these schemes are like – machines for depositing cheque is installed for easy payment services, service centers are open every day from 8.00 AM – 8.00 PM, help is available round the clock on helpline numbers, payments are possible through both demand draft and cheque and multiple connections can be applied for on single application. 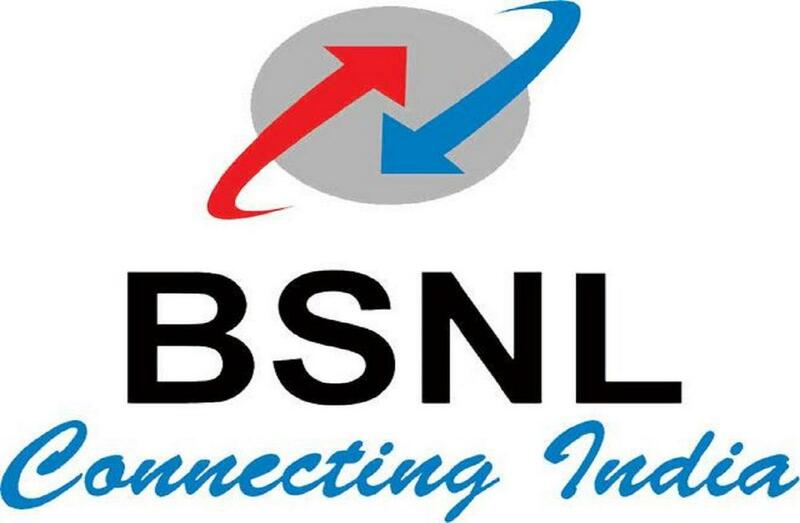 BSNL has decided on a uniform identity and hence has created a marketing strategy that is applicable for its brand and all its products under a single window. The ace shooter Abhinav Bindra is associated with BSNL as its brand ambassador. Actors Preity Zinta and recently Deepika Padukone have been the ambassadors of this brand.